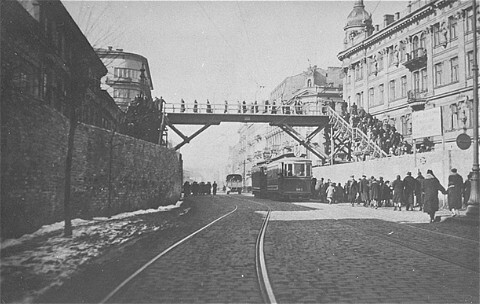 Footbridge over Chlodna Street, connecting two parts of the Warsaw ghetto. The street below was not part of the ghetto. Warsaw, Poland, date uncertain.